Glide across the room like a goddess wearing the Marchesa Notte™ Off the Shoulder Ombre Tull Tiered Gown. Perfectly pleated bodice with versatile cap sleeves. Cap sleeves be worn off the shoulder or not. Attached circle skirt with dual layers of tulle. 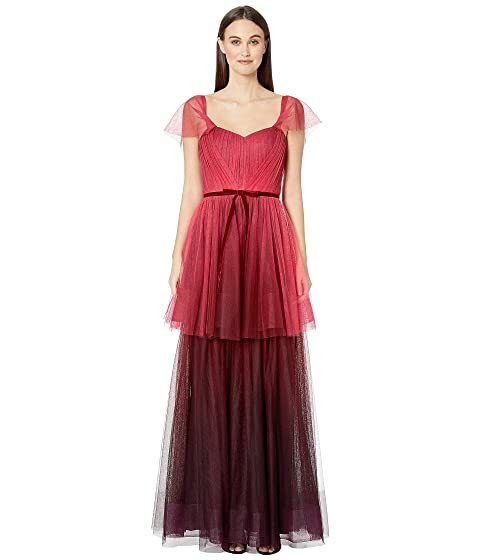 We can't currently find any similar items for the Off the Shoulder Ombre Tull Tiered Gown by Marchesa Notte. Sorry!